Our vision is for everyone in our community to experience only healthy relationships. Until that vision is achieved for everyone, we provide safe space for hope, healing, and planning for all survivors who have experienced violence in their home-life. Our services are free for survivors thanks to grants and private donations from the national level down to private citizens in our community. With your help we can make a difference. Learn more and get involved. Did you know that in December, we open up a winter wonderland gift shop for the families we work with? We have found that going through the trauma of domestic or sexual violence can often create financial hardships or emotional hardships that make shopping for the holidays difficult. We think it is important for the empowerment of survivors to be able to choose their items for their families so we ask for new items to be donated and then set up our boutique for them to come and privately shop for their family and find a little something for themselves too. How can you help? We are accepting new items for our shop and for our food baskets. Any items you can share with our families helps! If you are not a shopper and would like to make a contribution we will do the shopping, just send your donation to DVCC, PO Box 881, Minot, ND 58702 with a note that this is for the holiday giving program! What can you give that will always be needed? If you walked out your door today and didn't know when you could return, what would you need? Those are the items we try to keep stocked here at our office. Below are items we tend to run out of. 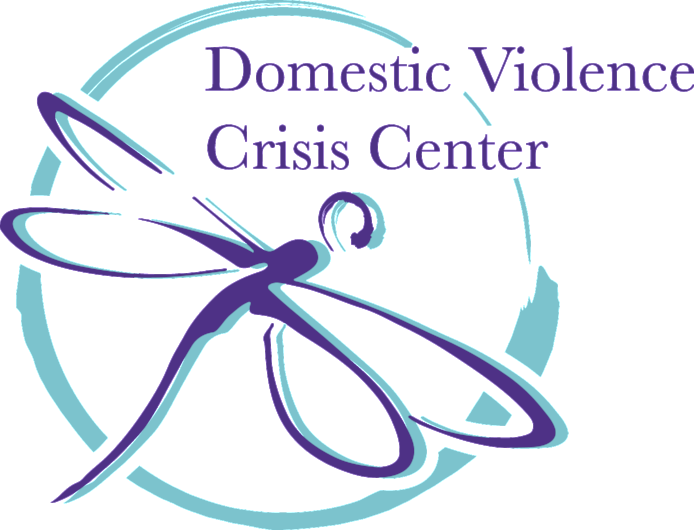 The Domestic Violence Crisis Center (DVCC) has something to celebrate; our 40th year of operation! DVCC started out as a dream for a handful of volunteers and community leaders, and has transformed into a campus providing hope for a new beginning for survivors seeking assistance. DVCC was incorporated in October of 1977 in Minot, ND. The Women's support group was established in 1978 and a Director was brought on with funding through a federal grant. Then in 1981, an emergency shelter for abused women and children was opened. The first office was a four bedroom house with two bathrooms and a small office space. At one time, it was said that 23 clients were being housed at one time. Imagine five or six individuals for each room and 23 people using 2 bathrooms. There were challenges but the staff worked to create the best atmosphere possible for growth and healing. There was a need to expand, but money was limited. A second support group was added in 1991 because there was a need. Slowly but surely, DVCC grew and was able to hire a Direct Service Coordinator and a part time book keeper. The Office was moved to the Ward County Library building to accommodate the growth. Soon after the move, support groups for kids were started. The children's coordinator would search high and low to find extra-curricular activities that were free to the join: going through the recreational center and signing children up for gymnastics, t-ball, swimming lessons and art camps, and seeking ticket donations for local activities as we continue to do today. Around this time, DVCC added a victim witness advocate to the staff. In 1992, the office was moved to 2001 8th Ave SE, and DVCC was given the approval to staff our safe home with 24 hour residential supervisors. In 1993, we entered into a lease agreement with option to purchase two housing units for transitional living. The community was seeing the good work that was being done. In 2002, our office moved one more time to 3331 Burdick Expressway E. We had more room to accommodate the growing staff. We now had a director, a grant writer, a children's advocate, a volunteer coordinator, safe home coordinator, victim witness advocate and a book keeper. In 2003, we joined forces with the Family Crisis Center in Bottineau, ND, and we still partner with them today. Due to lack of funding in 2005, there was no funding for the Children's Advocate position. We are always looking for ways to help raise money to help with keeping programs readily available for our clients so we are always looking for new grants to fill out, donations and special events. In 2007, we hired an assistant director to our staff and she took over our children's program as part of her duties. In 2009 we were able to hire a new Children's advocate. Our Assistant director became a full time position. Longtime Executive Director, Dena Filler, had a dream to build a Campus where the office, emergency shelter and transitional living apartments would be in one location for a safer stay for our clients. This is so important because once a survivor leaves an abuser it is the most dangerous time in their relationship. So in 2010, the plans were laid out to see this dream become DVCC's new reality. Then in 2011, the flood devastated the Minot area impacting much of the community. Many individuals were left homeless. Some of those people were DVCC clients as the transitional apartments were impacted by this devastating natural disaster. This pushed the plans ahead earlier than intended. In 2012, DVCC began construction of the New Beginnings Campus. In 2013, the agency was able to open the new transitional apartments and the new office; this led to an increase in staff with a transitional case manager. In 2014, the second transitional apartment was opened as well as the new 40 bed shelter. In 2016, there was a setback in the plans, funding that was set aside for the shelter was not available as the state was unable to fulfill the grant. Fortunately, following a news piece on the funding cut, there was an amazing opportunity that came about. The Tollefson family offered a challenge to DVCC. If the Domestic Violence Crisis Center would raise $165,000.00 they would help with a gift of $500,000.00 to pay off the remainder of the building. The community pitched in and by October 2016, DVCC celebrated the loan payoff with the many people who helped fulfil the dream of the New Beginnings Campus. DVCC also announced the selection of the current executive director, Jill McDonald. In 40 years, this agency has grown and adjusted with the needs of the community. DVCC is proud to serve all victims of domestic violence, sexual assault, stalking, and human trafficking. We strive to provide hope, healing, and opportunity to all survivors who walk through the door. We will continue to work toward our vision of a society where everyone will have relationships free of violence and look forward to the next 40 years! Have you noticed the new logo for the DVCC?  The dragonfly in many areas around the world symbolizes change. They have roamed the earth for millions of years; they are also known to embody our ability to overcome adversity and hardship. Each and every day at Domestic Violence Crisis Center, there is someone working to overcome adversity and change their life. This is transformational and we are so honored to have the privilege of witnessing people grow and heal when they are free from violence. 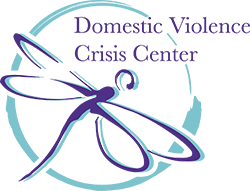 When you see our dragonfly, let it be a reminder of how survivors have found the courage to change their world in order to overcome abuse and create a new beginning.